Everyone practices acting in their daily life without realizing it. Whether it’s making a presentation at work, telling a story while out with friends or feigning interest in a meeting, most people portray different variations of their personality, depending on the circumstances. Because of this unconscious practice, you unknowingly have all the abilities necessary to become an actor, regardless of your age. Acting is a hobby to pursue at any age because shows often include roles for a diverse range of ages. Unlike sports, which require competitive training and peak physical abilities, acting can use traits and talents you’ve already developed. Anyone who has an active imagination and the ability to read can play a character. At its core, the art of acting is being able to empathize with others and use that empathy to portray their behaviors and reactions in the circumstances they face, however mundane or otherworldly they may seem. This exercise is then applied to action on stage and in front of a crowd. Kate Busselle, president of the Graduate Theatre Organization at the University of Missouri, encourages everyone she can to explore their creativity in the theater. Columbia has a handful of theatrical opportunities for amateur actors. 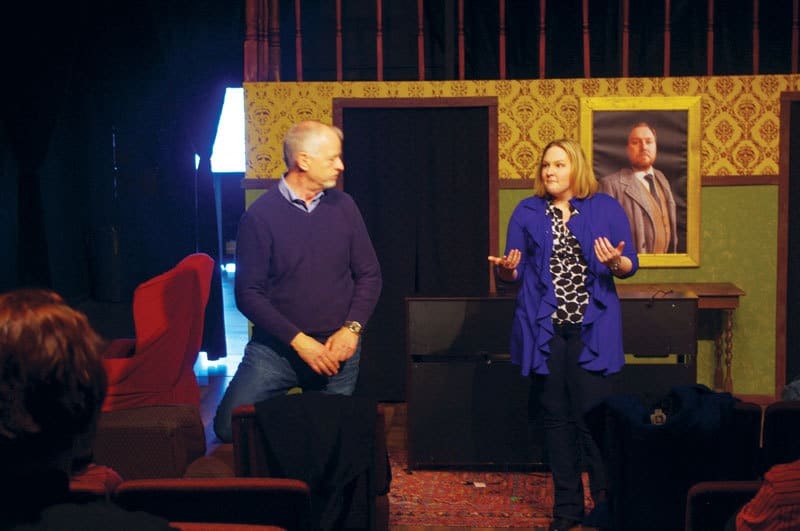 Columbia Entertainment Company, Maplewood Barn Community Theatre, Talking Horse Productions and the University of Missouri all hold open auditions for their seasons’ shows to recruit new talent. Open auditions vary in what they require of the actors, but in most cases, these casting calls ask for the participants to perform a monologue or do cold reads from the script for plays and sing a few bars from a song for musicals. While preparing these materials may seem daunting to those breaking into the community theater scene, there are resources available to learn and train to conquer the audition process and find a place in the cast. 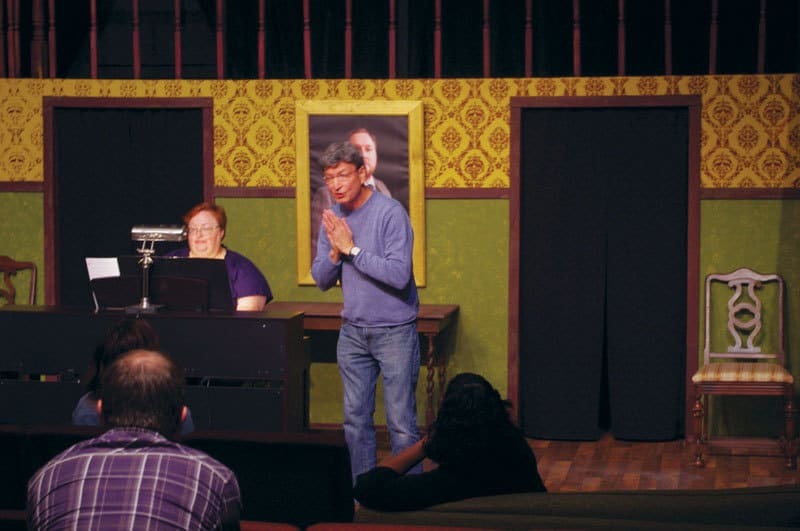 Recently, Busselle hosted an “Audition Success” workshop at Talking Horse Productions with the intent of helping newcomers hone their audition abilities. Her goal for the class was to give her students the opportunity to practice auditioning while also giving them information on the proper protocols. Her first piece of advice: Show up. Busselle’s class also covers the steps that come after arriving at the audition. She teaches her students to discover their “type,” or the roles in which they’re most likely to be cast. To do this, she has each of her students write their name on a piece of paper and pass it around. Each member of the class then writes the first thing that comes to their mind about that person. By the time the paper returns to the initial owner, they have a long list of adjectives other people observe about them, which may seem intimidating, but this type of introspective criticism is crucial for an actor to know what the director sees when they enter the room. Once an actor knows their type, they can begin to find material for the audition. Most auditions request a monologue, a short excerpt from a play with a single character speaking. Busselle points out the best way to find these pieces is to watch and read a lot of plays. She advises actors to seek out monologues where the character being portrayed is talking because they want something from another offstage character. This immediacy makes for a more interesting audition and highlights the actor’s performing abilities better than a piece where the character is only telling a story. For musical auditions, Busselle reminds actors that a director’s time is short, so they should keep their selections to 32 bars of music, usually enough for a verse, chorus and big finish. Performing a song adds an increased element of difficulty since the actor must find a piece that matches their type and their voice, but much like selecting a great karaoke song, an actor should choose based on what’s fun for them to perform and what they feel comfortable and confident singing. One of the attendees of Busselle’s class was David McSpadden. Having been a fan of theater all his life, McSpadden auditioned for Maplewood Barn’s production of “Glengary Glen Ross” in 2011. He was cast in that production and has been hooked on the community theater ever since. Although he’s no stranger to the stages of Columbia, McSpadden is always eager to pursue new opportunities to improve. For Hilary Myers, attending Busselle’s workshop was a return to form. Myers was involved in a multitude of musicals in her youth, and now she’s interested in sharing the experience with her 12-year-old daughter, Kathryn. 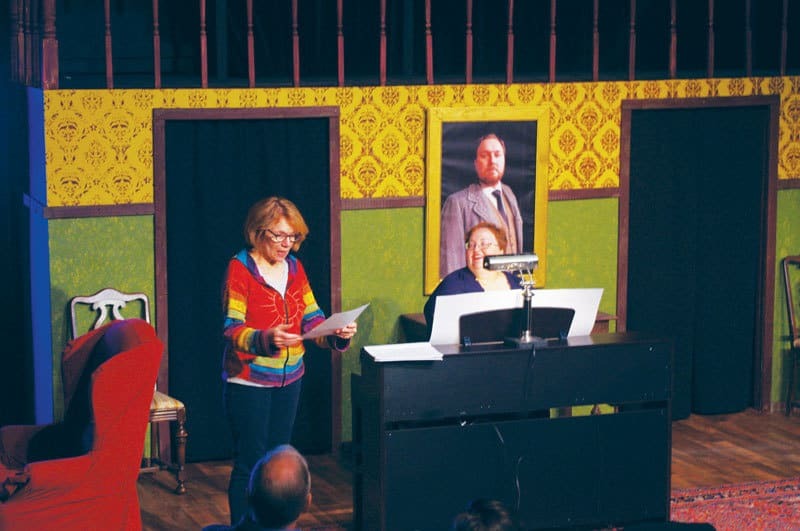 Talking Horse and Columbia Entertainment Company hold auditions year-round for each of their shows, while Maplewood Barn’s audition season runs from March to July. Theater e-newsletters announce upcoming shows, ticket information and audition schedules. Talking Horse Productions also plans to offer Busselle’s workshop, “Audition Success,” throughout the year for new actors.